The world’s all-time favourite girl group, gained this coveted accolade from their dominance of the music charts around the world, over 20 years. Although always a trio, The Supremes had eight members. Each of the ladies contributed to the group’s unequalled record success of 20 million selling singles and dozens of hit albums. 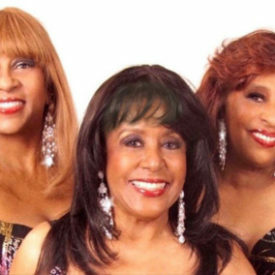 Scherrie & Lynda’s group are the only trio performing and recording today authentically featuring genuine members of The Supremes. Since re-forming in 1985 they continue to develop their impressive biography with credited recordings and polished performances around the globe, appearing at venues that have included London’s Royal Albert Hall for H.R.H. Diana, Princess of Wales, Wembley Arena where they shared the stage with other legendary Motown acts including The Four Tops and The Temptations. 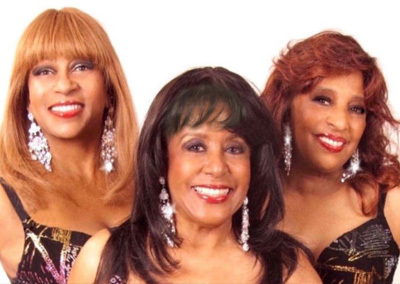 1997 saw the “Legendary ladies of Soul” tour that also featured the 3 Degrees and Sister Sledge. The Supremes remain undisputed as the most successful girl group of all time.. Since 1994 they have recorded with British producer Stevie Weaver. Their last 5 albums include Supremely Yours , Live & More and Simply Supreme . 1998 marks The Supremes 40th Anniversary with the release of a 3 CD Commemorative boxed set.